I was born on June 24th, 1995. While for myself, the highlight of 1995 was my own birth, some other people may remember this year to include the cinematic releases of Clueless, Disney’s The Lion King, and Pixar’s Toy Story, the creation of Windows 95, the establishment of the World Trade Organization, and OJ being found not guilty. The ides of the nineties were an interesting time. Dividing styles of early nineties to late nineties and leading to revolutionary technological inventions, I’m glad to have arrived on the planet at such a pivotal time. But truly, what do I remember of the 90’s? I turned 5 in 2000 - what could I possibly have understood from the coolest decade out there while being a mere toddler? My memories of the nineties include running around my backyard with my best friend/neighbour Mckenzie. Our favourite TV show was Blue’s Clues but I also loved Arthur. I have a distinct memory of once playing in a sandbox with my Bananas in Pyjamas toys (if you’re familiar with the characters, they were two brothers) and a playground bully stole one of them from me. My teeth were sparse, my imagination wild, and I was just a kid in kindergarten. I loved animals, as demonstrated through my love of the movie Bambi which I watched almost every single day on VCR. 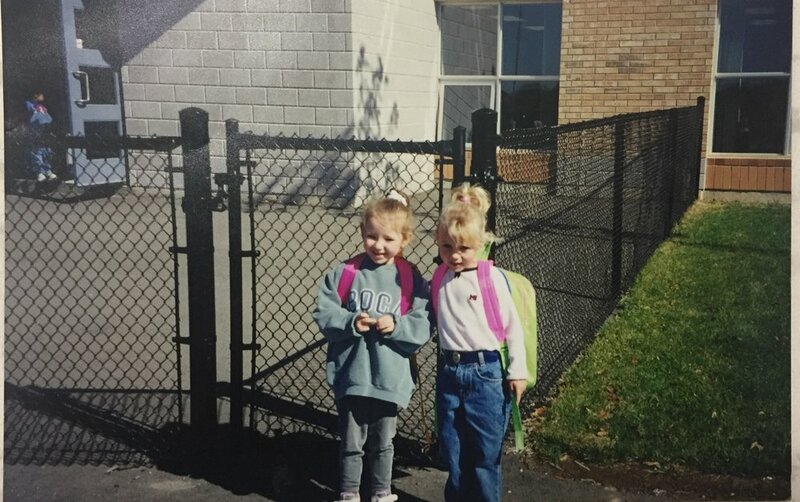 I hated the feeling of wearing my hair down and demanded my mom brush my hair into a very tight ponytail, held together with a scrunchie from my collection (which still exists today). I really boycotted anything girl-related. Lots of kids around me liked dolls and toy jewelry while I was a total tomboy playing with Nintendo, animal toys, Pokémon, and my all time favourite, Digimon. 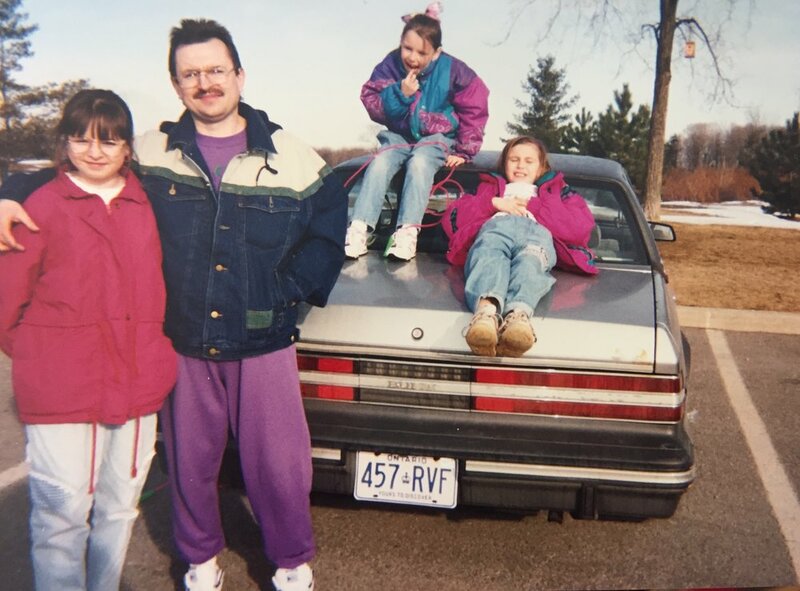 I have three older sisters, all of whom were teens in the 90’s. Like all 90’s teens, they wore tight clothes, butterfly clips, lots of black, and refused to smile in photographs. They were 100% the coolest and I wanted to be just like them, even though they were so much older than me. They used to play “paperdolls” a game they invented where they would draw characters on paper and cut them out. AKA makeshift Barbies. They’d lock the door to their room because I (allegedly) slobbered all over their creations but it didn’t stop me from sticking my fingers under their door to let them know I was there. My favourite activity was annoying them. As you can imagine, I was also really cute. As the nineties turned into the noughties, I learned more about pop culture in these two decades. I had a Britney Spears Hit Clip and started watching 90210 when my sisters bought the box set. Before that I actually really hated 90210 because it was that show on TV that my sisters watched but had to kick me out of the room because I was way too young for it. I just wanted to spend time with them all the time! Finally when I was 12, they let me binge watch it via high tech DVD! And my life has never been the same since.